Restore your smile in record-beating time! We utilize CEREC technology, a CAD/CAM system, which enables us to provide you with fillings, crowns and veneers in just one appointment. First of all, a special 3D camera is used to make an optical impression. 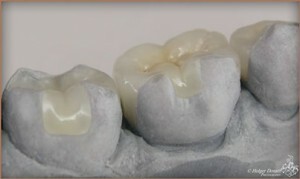 Your new tooth is then created using the CEREC software, shortly after which we show you how it will look once made. We then produce the actual replacement tooth with an on-site milling machine, after which it is ready to be bonded. At Cathedral Dental, we have used CEREC for more than 20 years with stunning results and highly positive feedback from our patients. Our long experience with this technology allows us to select the best quality ceramics for the job, make an accurate evaluation of longevity and produce new teeth with a high level of precision. 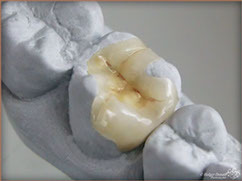 CEREC is a proven system that saves you time while ensuring high quality. Rest assured that the new tooth will look as natural as possible and eating will not be an issue. This is a wonderful option for FIFO workers or for others with tight schedules. If you are interested in finding out more, please get in touch today!